Ambassador Danon, PM Netanyahu and opposition leader congratulate the 45th president. Israel's Ambassador to the United Nations, Danny Danon, on Friday congratulated U.S. President Donald Trump on his inauguration. 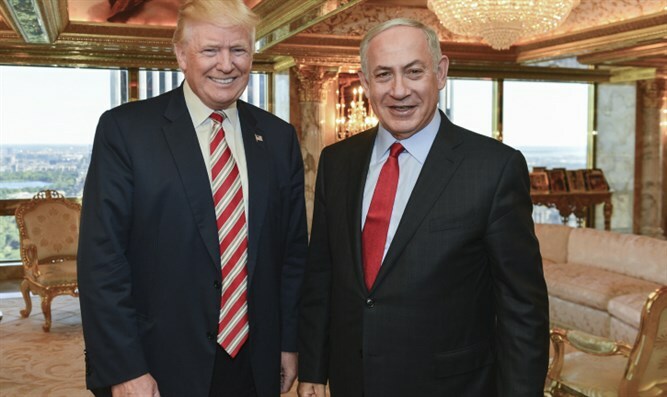 "A true friend of Israel will enter the White House today. Thank you President Trump for your unequivocal support, we look forward to welcoming you to our capital of Jerusalem," said Ambassador Danon. "After the shameful resolution that was adopted by the Security Council, Israel looks forward to strengthening our most important alliance and leading together towards a new era at the UN," he added. Prime Minister Binyamin Netanyahu also congratulated the new American President. “Congratulations to my friend President Trump. I look forward to working closely with you to make the alliance between Israel and America stronger than ever. Shabbat Shalom,” he wrote on Facebook. Earlier on Friday, opposition leader and Zionist Union chairman Yitzhak Herzog congratulated Trump, but not before he said goodbye to now former President Barack Obama. "To outgoing President Barack Obama, now is the time to thank you and your administration for eight years of friendship and support, for your noble efforts to promote peace, your indisputable contribution to Israel's security, and for strengthening Israel's most important strategic alliance. I am convinced that the extraordinary and ground breaking years of your presidency will continue to inspire all lovers of good and justice, in the United States and around the world," wrote Herzog. "To incoming President Donald Trump, we here in Israel wish you good luck as you begin your term as President of the United States and leader of the free world. We are convinced that together we will continue to maintain and strengthen the strategic alliance between our two nations, which share common values and interests, led by democracy, equality, freedom and the constant strive for peace and security. We seek to reach the much coveted peace with our neighbors, the Palestinians, during your term, based on the principles of true security and regional cooperation with the moderate countries within the ever changing Middle East. The challenges facing us on a global and regional level are difficult and complex, and I have no doubt that you will address these with wisdom, responsibility and determination," he added.